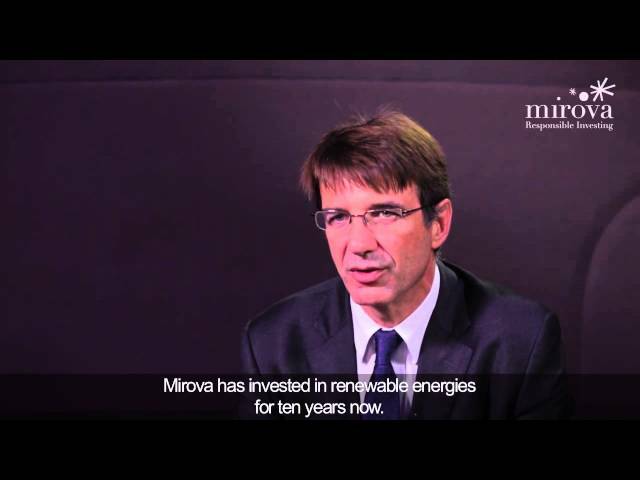 Mirova, European SRI expert, took an active part in the international Europlace Financial Forum 2013, held in Paris on July 10th and 11th 2013. Philippe Zaouati, Deputy CEO of Natixis AM and Head of Mirova, was invited to speak at the round table discussion on “Integrated Reporting and SRI Investors Portfolio Strategies". The panel session was moderated by Nicole Notat, Chairwoman of Vigeo (Europe-wide extra-financial rating agency), and included specialists from La Caisse des Dépôts, the Solvay group and IIRC. The 2013 edition of Paris Europlace was structured around the broad theme of "Growth and Investment Opportunities in Europe" and was attended by several hundred delegates, including international investors and members of the organisation (corporates, banks, financial institutions, asset managers, legal and auditing firms), presenting their service and product offer.